Product information "Sensative STRIPS Door and Window Sensor"
STRIPS by Sensative is an ultra-thin magnetic sensor designed to monitor and protect the status of windows or doors and report the data to the smart home controller. To do this the sensor can be mounted almost invisibly on frames of doors or windows. Sensative STRIPS consists of two components: The thin narrow strip is mounted on the window or door frame and the small square magnet is mounted on the movable part of the window or door. 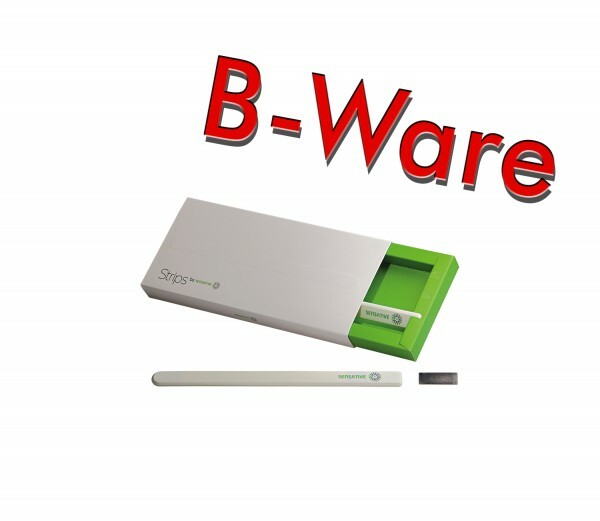 STRIPS is 19.5 cm long and only 3 mm thin, Z-Wave Plus certified and can also be used outdoors. Its built-in battery has a lifetime of at least 10 years. The Sensative STRIPS door and window sensor is also available in an affordable bundle with 3 pieces (B_SENE1301). Related links to "Sensative STRIPS Door and Window Sensor"